Two weeks ago I was asked to teach some tips for hosting Friendsgiving at Swoozie's in Buckhead. I absolutely adore all things Swoozie's and I was so excited to host an event with this talented team. I love a pop in to this fabulous shop whenever I have time. They literally have everything you need for gifts and hosting and when you leave you have a pep in your step and a wrapped gift ready to give. It was such a fun evening. Surrounded by such fun and lovely women I talked about my love for entertaining and hosting. I shared some tips to keep it simple and to hopefully alleviate the stress of having people over and allow you to truly enjoy the people you have chosen to include. First and foremost, as always, I suggest having a Signature Cocktail prepared to get them started for the evening. Setting the bar cart with a drink and a snack or two is my favorite way to greet guests. It frees you up to greet all of your guests and allows them to serve themselves when they arrive. Just set it up, point them in the right direction and let the magic begin. Our drink for the evening was a fall punch I mixed and served from my vintage punch bowl. I am a huge proponent of serving (and enjoying) punch! It is easy to make and when served with an ice ring makes such an impression. Using Cathead Pecan Vodka as a base I mixed in a berry juice, ginger beer and sparkling soda for a delicious result that wasn't too heavy or spicy but just right for the chilly evening. 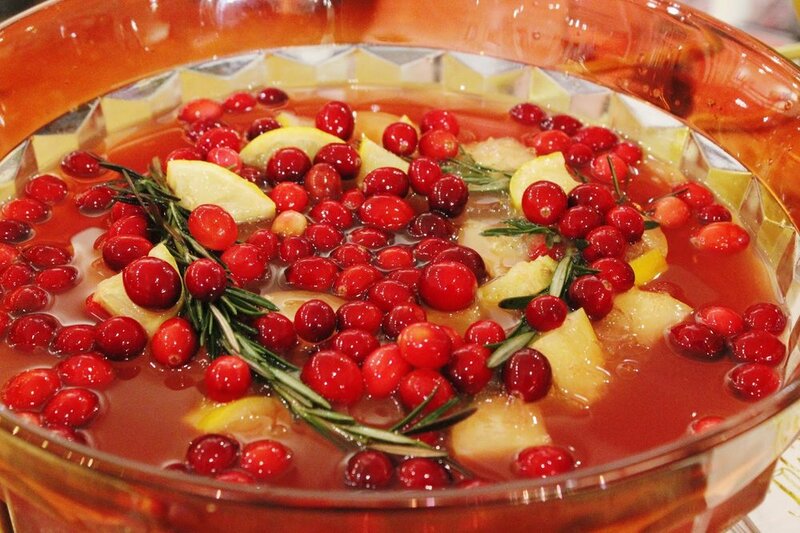 The ice ring made it fabulous with sliced lemons, cranberries and rosemary sprigs. It was truly delicious and only the fruit was left when the event was over. I call that a #win. As they sipped and snacked I chatted about setting a table and some tips to make the evening stress free for the hostess. I set the table with one of my favorite tablecloths and added this paper runner in green stripes for a wonderful mix of color. I love blue + green together and it was the perfect backdrop for some blue and white pottery and fresh magnolia. Easy, yet beautiful. Add in a mix of my favorite gold bamboo flatware and plastic and some darling monogram napkins and you have the perfect table. The center of the table was left open for an appetizer on this darling board. You can't see the personalization but it is monogrammed with Casa de Minear and will quickly become a favorite for me. I love a good cheese board and this one with the handle and the marble is fabulous. For the event we added two cheeses, a few crackers and some berries. Easy appetizer to create and oh so yummy to devour. We added some bowls of my favorite cheese crisps and the combination of the appetizer and the little snacks are perfect to get the conversation flowing and give them a bite to tide them over until you serve dinner. The rest of the table was set with a mix of my everyday china and a set of these fabulous paper china plates. They were so stunning in the grouping and I love the easy clean up that paper provides. 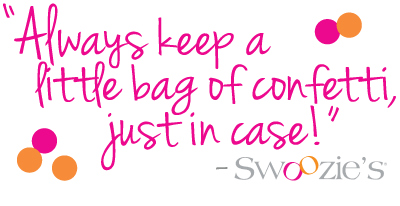 Why not make it easy on yourself and your guests? I am completely up for all things paper when entertaining ... it truly makes all the difference and good paper and plastic products are worth the investment. I love all things Sophistiplate. One of my favorite elements of the table I set were the darling glasses I chose to use as the evening sursie. Catstudio has the most darling glasses and Swoozie's carries the Atlanta and Georgia glasses and these were perfect for gifting. I love to gift something to my guests that they will see and use and remember our time together. I came home with one of each and seeing them reminds me of such a wonderful evening with new friends. Are you hosting Friendsgiving this year? 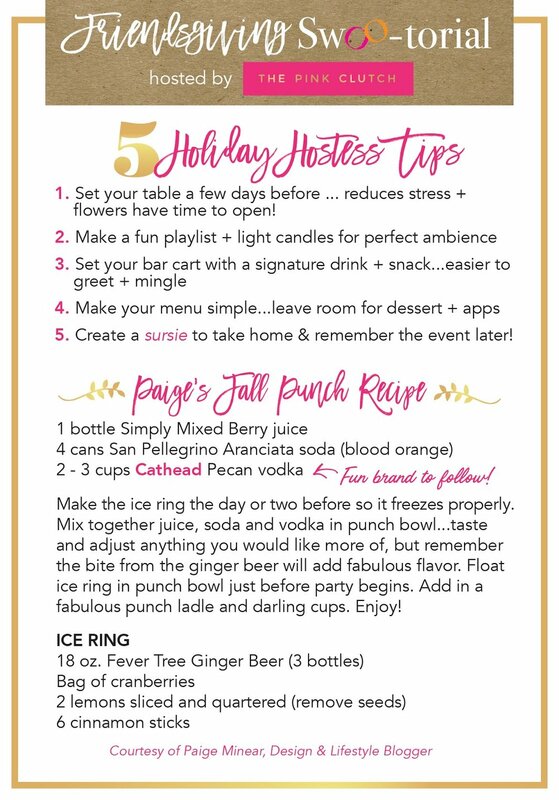 I have some tips to share above along with the recipe for my Fall Punch that might make your soireé easier. I will be taking this delicious and easy punch to Blue Ridge for Thanksgiving with Lawyer's family and I know they will love it. It is truly so yummy and has a delicious combination of the spice pecan combined with the bite of ginger to make it absolutely perfect for fall!! I will be popping up at Swoozie's again in December for a girls night in event and I would love to have you join me. We had such a great turn out for this event and I know the next will be just as fun, especially since we will be playing Prosecco Pong and having bubbly from the Prosecco Bar I will be creating!